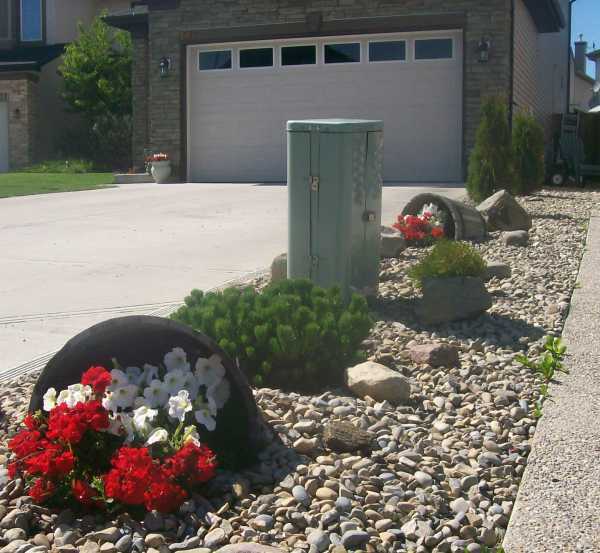 We have more landscaping curb appeal ideas in driveway landscaping photos 2. This is the "Public area" of your home and is what everyone sees. Make it welcoming, practical, and functional while still adding you sense of style and taste. If you are new to Dream Yard, we have over 200 pages of helpful DIY information on our site. You can check out what we have by clicking on our site map. with very little maintenance or expense. Picture compliments of a homeowner with a Dream-yard. Please enjoy the driveway ideas we have, and visit "The Yard" Landscaping how-to modules if you are planning on installing your own projects. Don't forget to follow us on Pinterest for more driveway ideas. The link is in the sidebar. 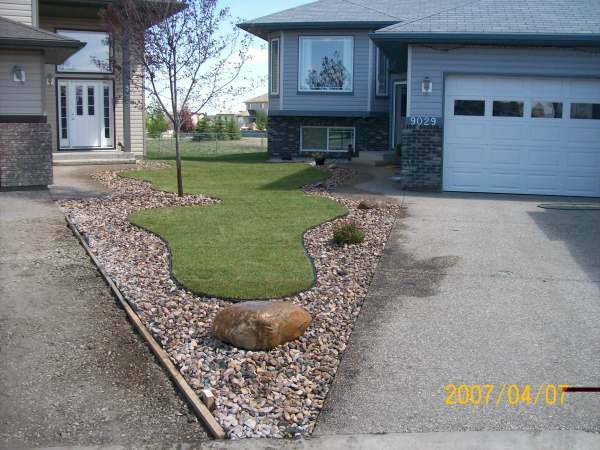 We have over 16,000 categorized landscaping pictures on over 80 different boards. 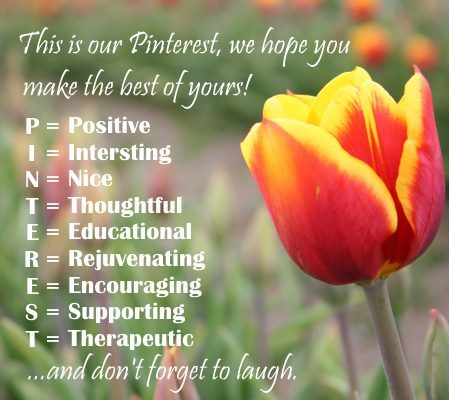 Join 200,000 other people that follow us on Pinterest to find inspiration for their dream yards. Just click on any driveway landscaping photo to open a gallery slideshow of all the photos on this page. 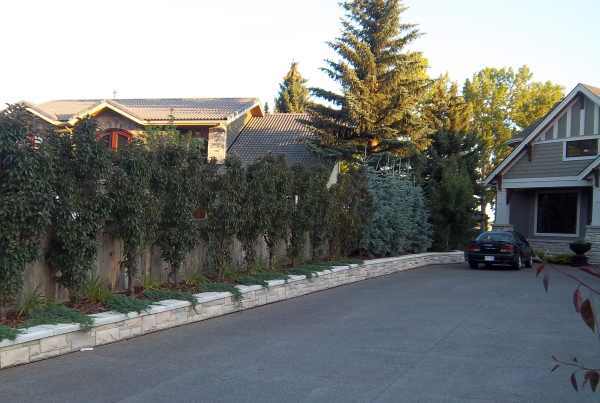 This beautiful low stone retaining wall is a classy way to border a driveway. the user to the front door. defined with some simple bricks. stonework in the home and make it stand out. the homes in times of heavy rain. 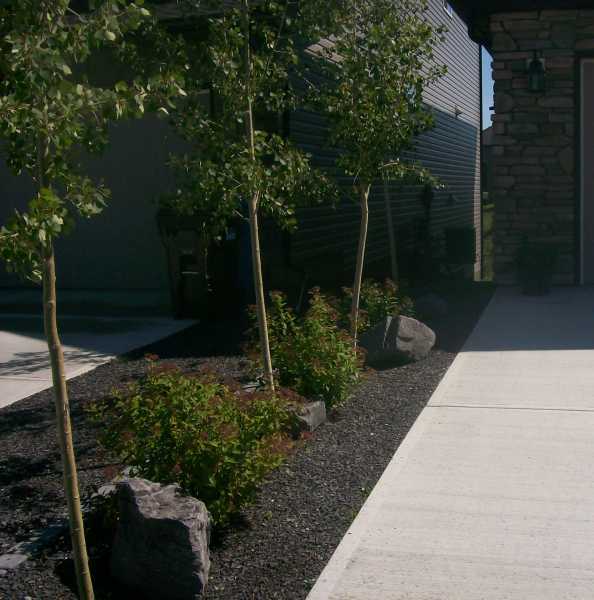 Effective driveway landscaping ideas for a narrow strip between houses that have longer driveways. The privacy fence is alive and partially concealed in the summer. Blue spruce provide a little more privacy towards the back . 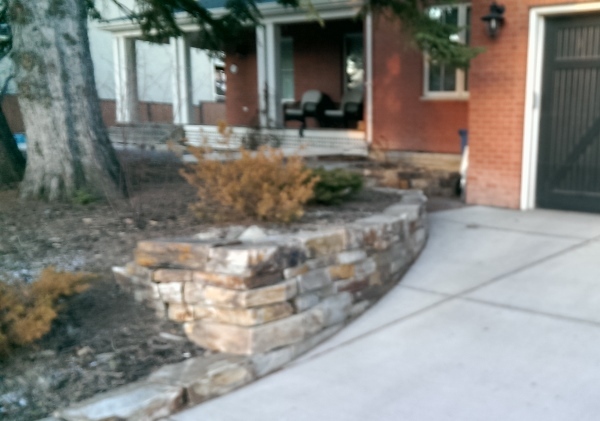 A low stone retaining wall makes a great driveway border. 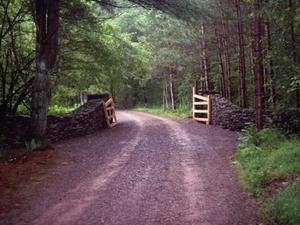 Dry stacked stone walls finish off just about any landscape. No matter when they were built, they always look like they have been there forever. 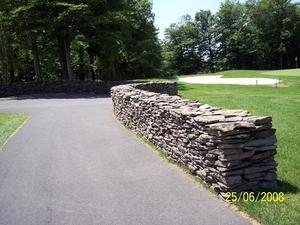 This drystack stonewall graces the entryway to a golf course. traffic as it enters the property. 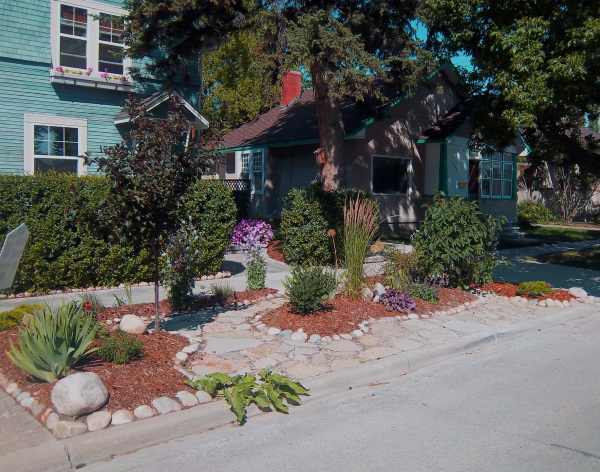 When neighbors can work together, it makes for more creative curb appeal. In this northern climate, grass has a hard time withstanding the winter stresses of piled ice, snow, and salt. 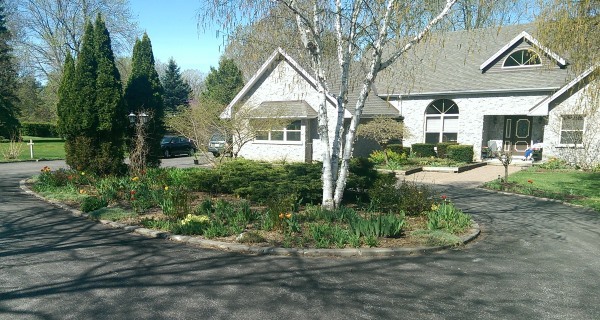 Using decorative rock helps to eliminate winter kill patches each spring along the driveway edge. flagstone front walkway and blue home. 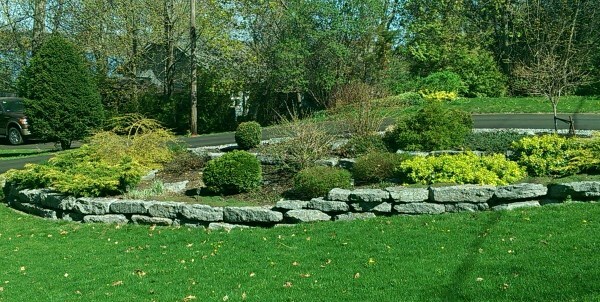 A natural fieldstone retaining wall down the side of a downhill driveway adds lots of character. A mixed colour dry stacked stone wall makes a great addition to the front of this home. 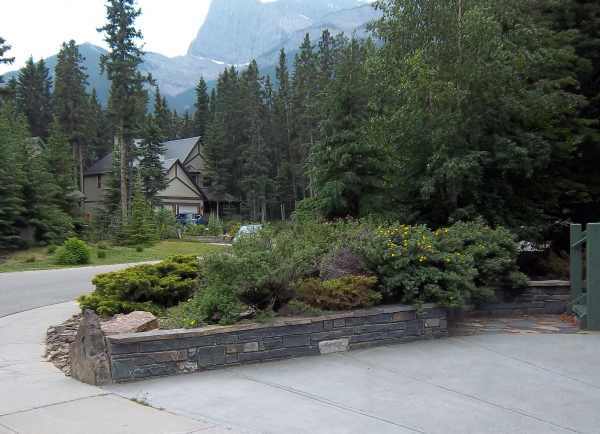 Large limestone blocks make for easy walls and nice garden borders while adding appeal to this large front yard. 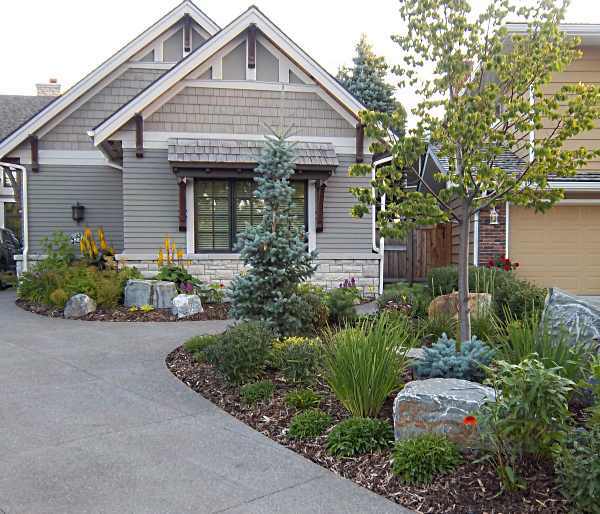 Circular driveway landscaping with a nice informal look with feature trees at either end of the center bed. 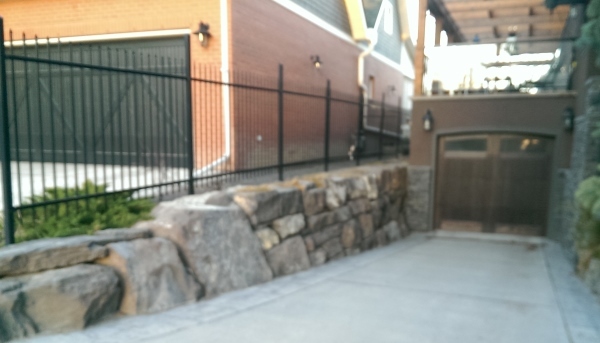 This low stone retaining wall lines a driveway while providing an extension of flat yard for a garden bed. 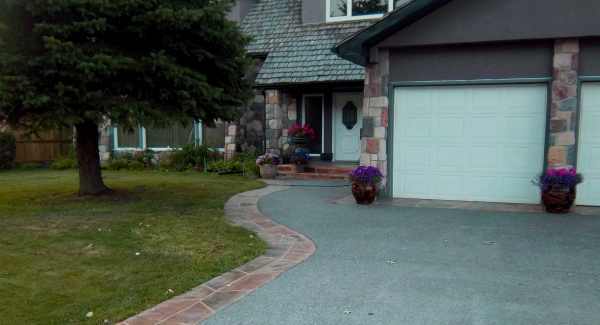 A nice brick Paver stone driveway that compliments the colours of the home. Formal square pavers also line each side of the driveway and lead to the front and back yards.